So, what to do with children on rainy days like today? Or, to put things into a more “Shopping-Bargains® thrifty mindset,” what can we do on a cold, rainy day that doesn’t involve spending a lot of money? Valerie of Inner Child Fun presents a great idea for entertaining kids on winter rainy days. 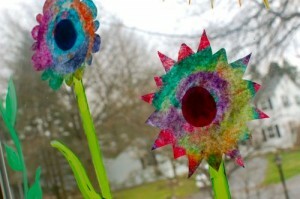 Using coffee filters and watercolor paint, she helped her children create beautiful flowers. These flowers were later transformed into a larger arrangement on their glass door — turning that rainy day into days of enjoyment for the whole family. Bottom line: a little paint, a few coffee filters, some washable glue, and lots of creativity and that rainy day doesn’t stand a chance of discouraging your family! Learn how to make your own sunshine (8 pictures). This one really sounds fun and had a dual-purpose. The kids can help you make the play dough and then enjoy playing with it later! With just flower, water, cream of tartar, salt, vegetable oil, and a little food coloring, you can do this yourself using the easy recipe provide by Erika at Living Well Mom. She also has a gluten-free recipe if you need that option. 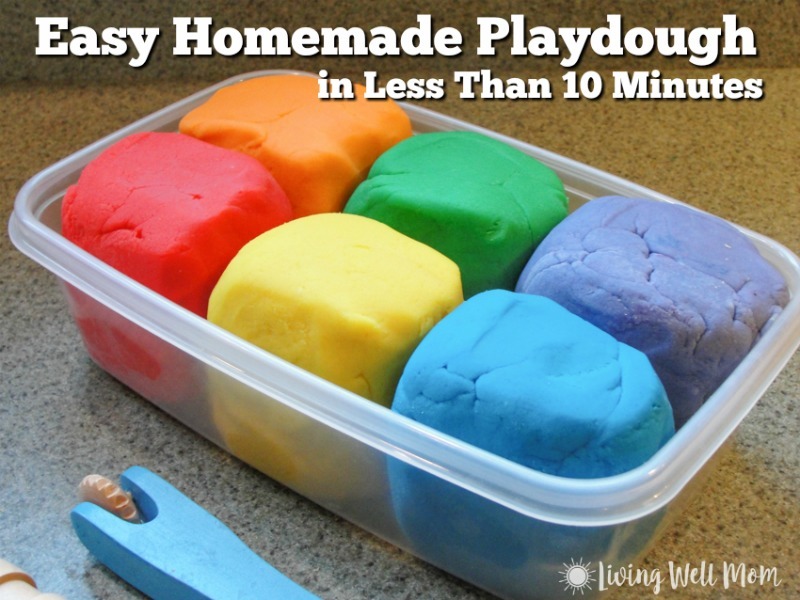 Get the recipe to make your own play dough (lots of pictures too). Making time capsules can be very exciting for kids. 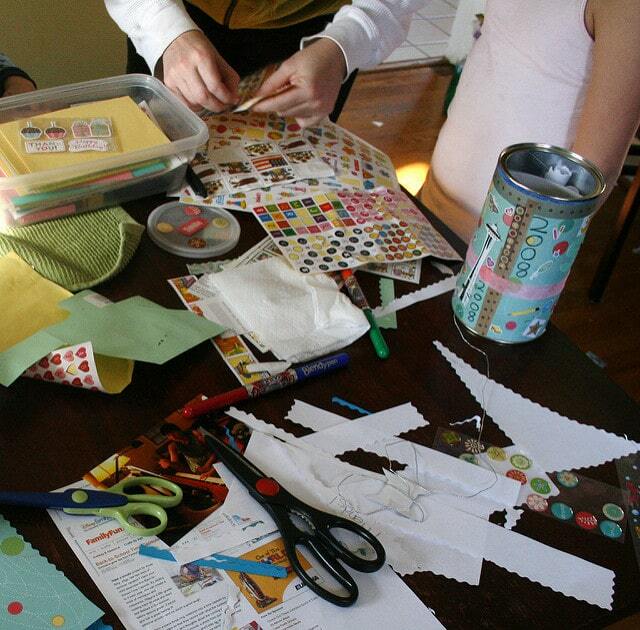 It combines creativity and adventure — and sometime later, the thrill of a treasure hunt! Just use an old pickle jar or tennis ball can and fill with some creative things. If you’re not sure what to include, you can find some great suggestions here — hand-drawn pictures, a newspaper clipping, some “facts of the day,” a letter to your future self (with advice of course! ), and a note from you for them to read later are a few ideas. This one can be a bit messy but the younger children are likely to really have a blast! Here’s how to do it — get a large roasting pan or plastic bin or even a sturdy shoebox and fill with rice or dry beans or popcorn. It will take several pounds so be sure to stock up the next time you find a sale. 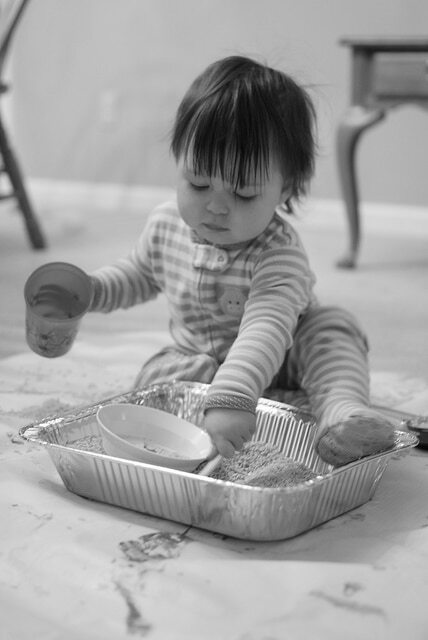 Put this “sand-less sandbox” somewhere easy to clean up (carpet is not recommended since it’s hard to pick the rice out!). Give the kids some measuring scoops, spoons, strainers, funnels, toy cars, small cups, etc. Let them use their imagination. Not sure how it happens but it seems that perfectly good pairs of socks are sometimes permanently separated. (Try reading that sentence out loud — whew!) Does the washing machine eat them? Who knows. 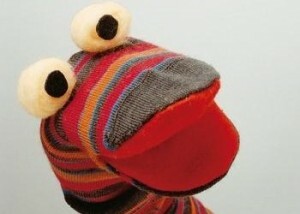 But, these lonely socks without a mate can be turned into fun sock puppets! This can be a particularly exciting activity for cold, rainy days. According to Latest Handmade, you can turn a sock into a sock puppet in just six steps. And they have the pictures to show the transformation. Add some creative buttons, pieces of cloth (or rags), colored cotton, and other accessories and you’re ready for lots and lots of fun. Here’s how you can make your own sock puppets. So there you have it — five ways to help make those cold, rainy days exciting days for you and the kids. Let us know how this turns out for you. Have some great ideas of your own? Please share them below for our readers!